MIAMI — Hurricane Jose became an “extremely dangerous” Category 4 hurricane Friday, threatening Caribbean islands already devastated by Hurricane Irma, the U.S. National Hurricane Center said. As of Friday afternoon, Hurricane Jose had maximum sustained winds of 150 mph as it moved west-northwest toward the northern Leeward Islands at a speedy 18 mph. 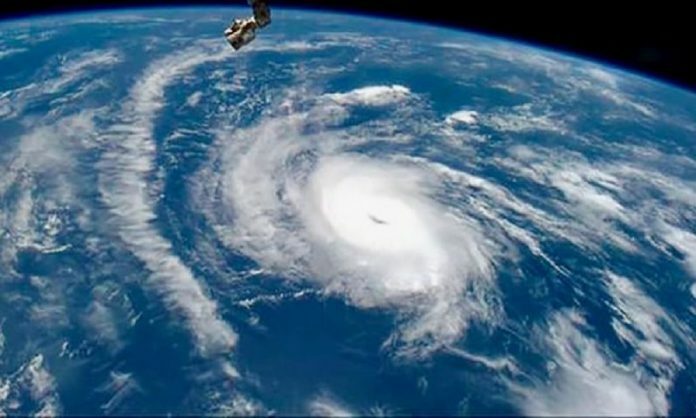 The eye of the storm was located about 380 miles east-southeast from the islands. It was expected to pass near or east of the northeastern Leeward Islands on Saturday. A map from the National Hurricane Center shows Hurricane Jose’s projected path as of 2 p.m. ET on Sept. 8, 2017. Hurricane Irma weakened from a Category 5 to a still-fearsome Category 4 on Friday morning with winds of 155 mph. The hurricane smashed homes, schools, stores, roads and boats on Wednesday and Thursday as it rolled over some of the world’s most famous beach paradises, including St. Martin, St. Barts, St. Thomas, Barbuda and Anguilla. It knocked out power, water and telephone service, trapped thousands of tourists, and stripped the trees of leaves, leaving an eerie, blasted-looking landscape. Authorities reported looting and gunfire in St. Martin, and a curfew was imposed in the U.S. Virgin Islands. On the island of St. Thomas, part of the U.S. Virgin Islands, power lines and towers were toppled, leaves were stripped off plants and trees, a water and sewage treatment plant was heavily damaged, and the harbor was in ruins, along with hundreds of homes and dozens of businesses. Irma, left, and Jose are seen in an infrared satellite image captured at 10:45 a.m. ET on Sept. 8, 2017. Thousands of tourists were trapped on St. Martin, St. Barts, and the Virgin Islands in the path of Hurricane Jose. Authorities rushed to evacuate as many people as possible from Barbuda ahead of the new storm. Some of the Irma-ravaged islands could see tropical-storm force winds and heavy rain from Hurricane Jose, said Jeff Masters of the private forecasting service Weather Underground. The hospital on St. Thomas was destroyed and dozens of patients were being evacuated to St. Croix and Puerto Rico by the U.S. Coast Guard.